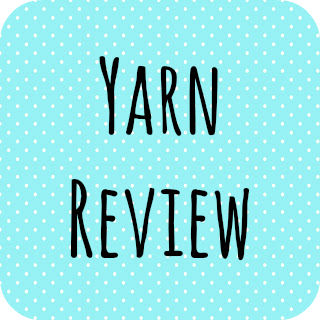 As 'myboshi' is a new product, I thought it would be a good place to start for a yarn review. To get the legal stuff out of the way; the review below is my own opinion and the yarn from my own supply. I have received no payment for this review, I just thought it would be a nice thing to do! myboshi was developed by two German Skiiers, Thomas and Felix who learnt to crochet whilst at a remote ski resort in Japan. Whilst it's gathering popularity in Europe, it's only just coming over to the UK and so it's quite hard to find much more about myboshi in English. 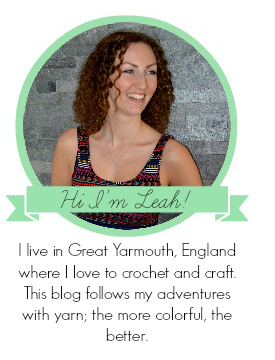 It's being distributed by DMC, and as well as yarn, there are crochet hooks, labels and patterns available too. The colour range for myboshi is outstanding. The 36 colours in the collection include neutrals, pastels, brights and neons and so give a modern, young, unisex feel. The merino in the yarn makes it feel soft and warm but without looking whispy. It's actually softer to touch than it looks. The yarn is nice and chunky and perfect for it's intended purpose; outdoor winter hats. This yarn is pretty nice to crochet with. It works up especially fast to make a hat in a hurry. It's very slightly splitty, but not so much that it's problematic. The merino/polyacrylic blend means that it has a bit of stretch in it, but not enough to loose shape. For a chunky yarn, it was easy on the hands. I found that the patterns in the small guide were clear to follow if you've crocheted before, but would probably be tricky to follow if you were new to crochet. I also found that I needed a fair few more rounds in order to make a long enough beanie to cover my head although this could be because I crochet very tightly. I'm a fan. myboshi yarn gives a polished finish that means even simple stitches like half trebles (UK terms) produce a professional looking hat. myboshi beanies are easy to make, and would be perfect as a beginner project, although the patterns aren't the clearest I've seen. I'm sure it could be used to make scarfs and gloves easily and would make great gifts for christmas. Nice review! I haven't seen it around Canada but if it's just making it's appearance in the UK it will probably be a while before we see it here but I'll be on the lookout for it's bright colours! I'm new to crochet and don't know much about yarn. I picked it to make a round cushion cover mostly because of the colours and it used the same hook size as the pattern in the book and I'm delighted with it - my first crochet project! I bought far too much so I'm now going to make a hat with the left overs. It's really nice stuff to work with isn't it? I'm tempted to use it for other projects other than just hats too; I bet it makes a really great cushion- I'd love to see some pictures.